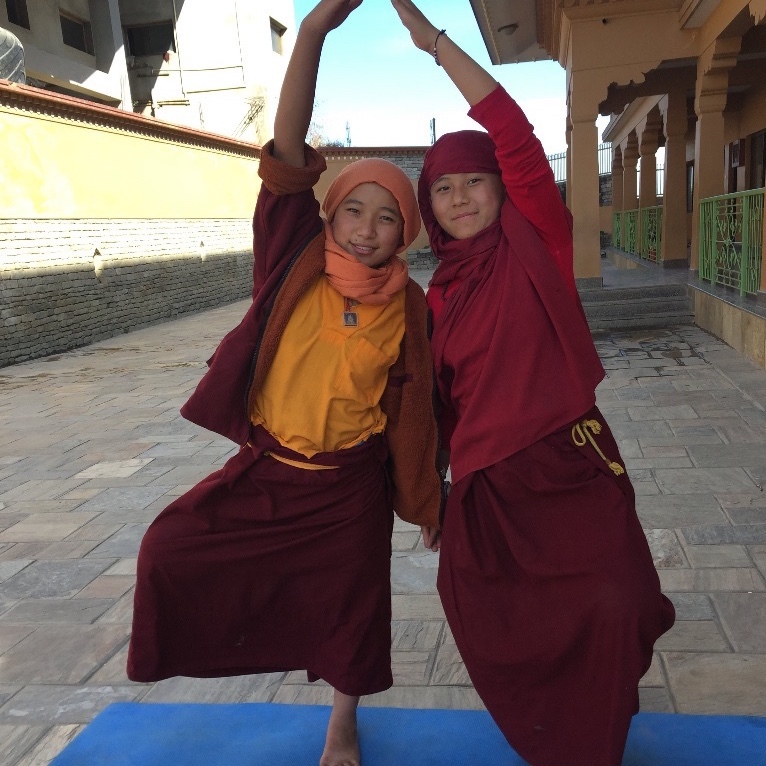 Click here to view this lovely short video of young nuns wishing everyone a Happy Losar! 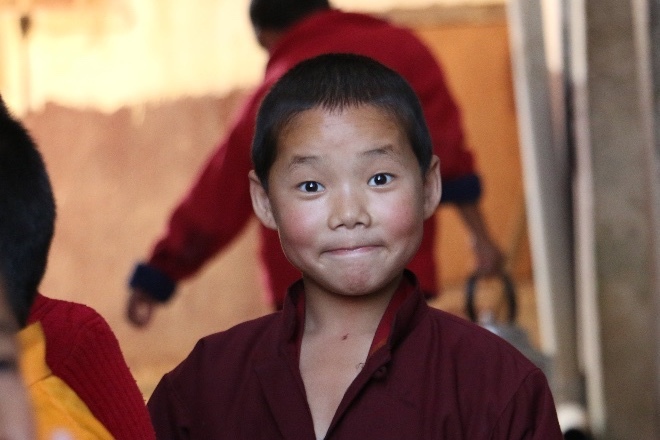 The vision for the Tsoknyi Gechak Ling is expanding! 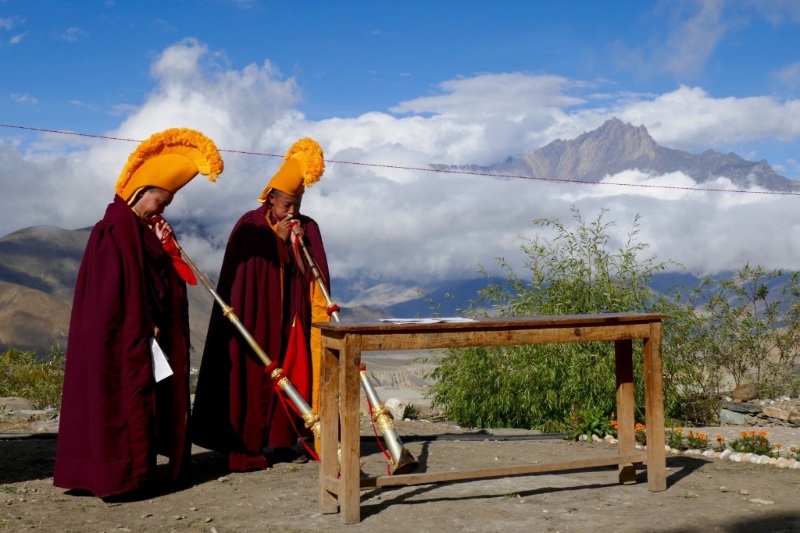 There are six new spaces which include: administration offices, a dining hall, archive space and a torma making room. With expansive windows overlooking the valley, the large library and lecture hall, with seating for 200, will be a center of activity for the nuns and students. These new spaces will be located adjacent to and below the Main Temple. 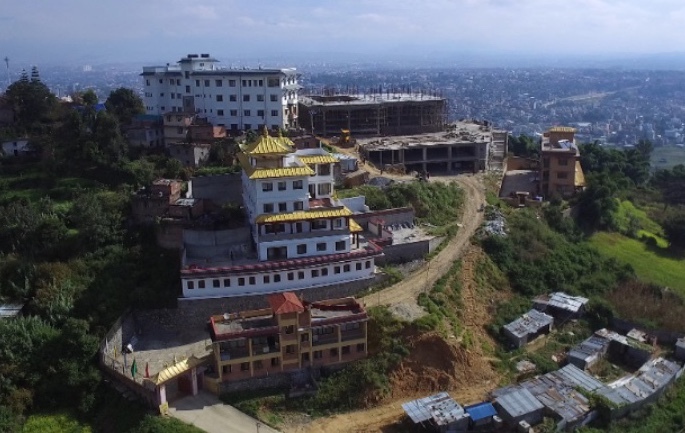 The aerial photo above shows the Pema Chödrön Drubde in the center with the lovely golden roof. The Shedra and Nun's residence is the tall white building and the Primary School is to the far right of all the buildings. The large concrete structure under construction in the middle right is the Main Temple. This view shows the Main Temple and the levels below where the new spaces will be. There will be a large terrace all around the Temple. 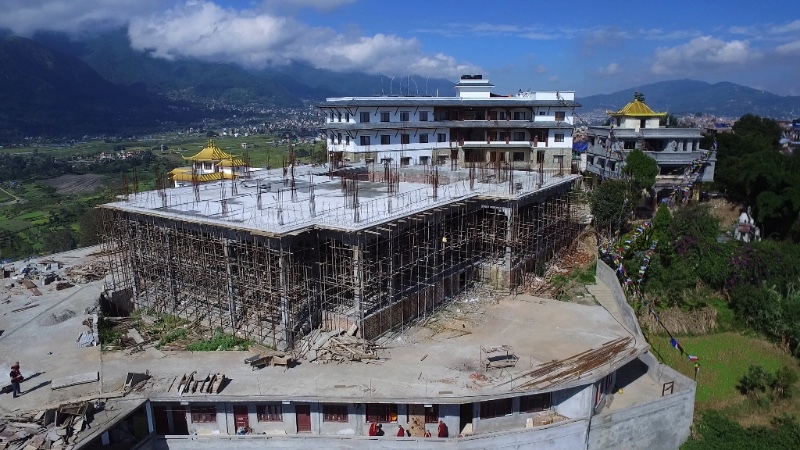 Note the small building to the far right; the original Chobhar Monastery is being rebuilt after earthquake damage. The precious Shrine Hall in this building is being preserved. 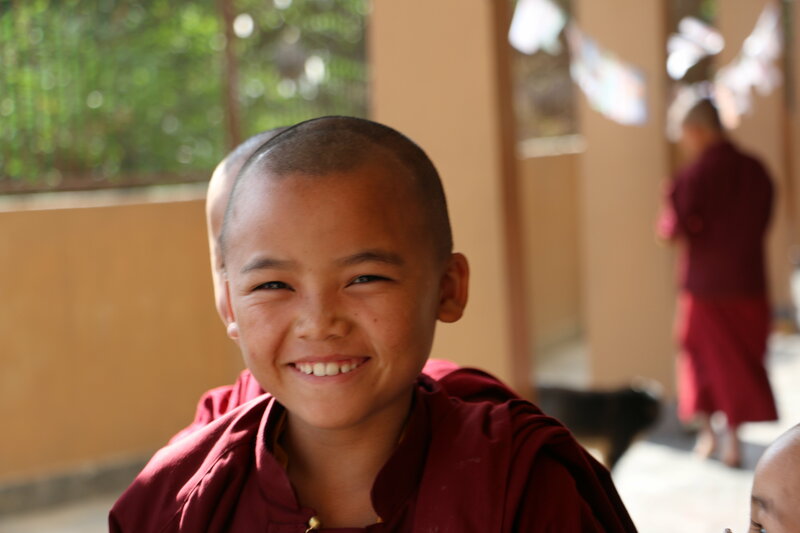 Please join us in our worldwide effort to complete Tsoknyi Gechak Ling. 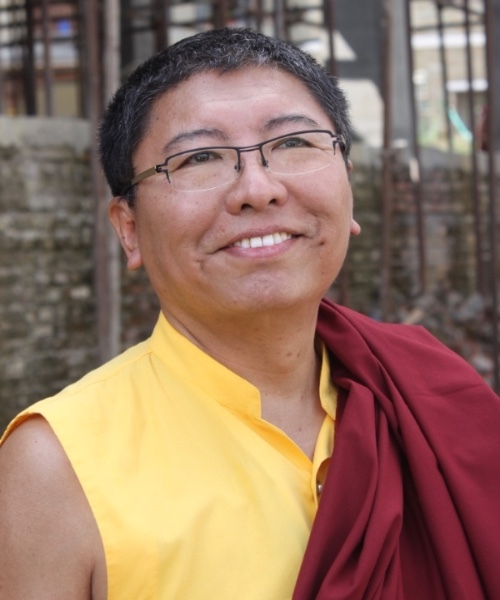 when women all over the world are facing persecution and lack of access to education and basic human rights, Tsoknyi Rinpoche and his supporters have provided a refuge for Nepali girls and nuns. 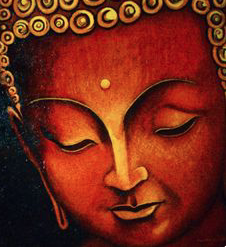 This nunnery is a place that holds and cultivates teachings of clarity, compassion, and wisdom. Places like these provide a sanctuary for luminous sanity and are centers from which enlightenment, insight and experience can radiate. One hundred and thirty-five young girls are receiving a secular education while being immersed in an atmosphere of compassion and loving kindness. 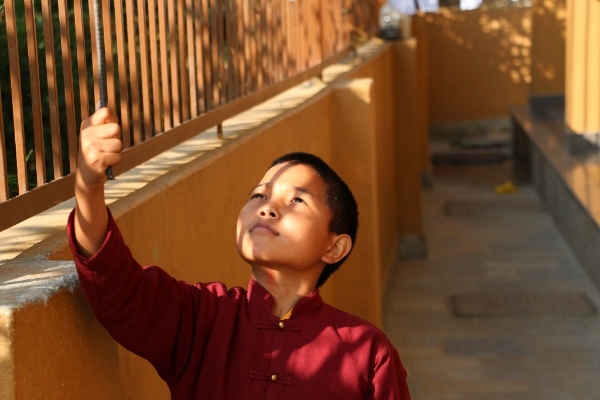 Twenty-two adult nuns are attending Shedra University for nine years and six nuns are in six-month Dzogchen retreat. 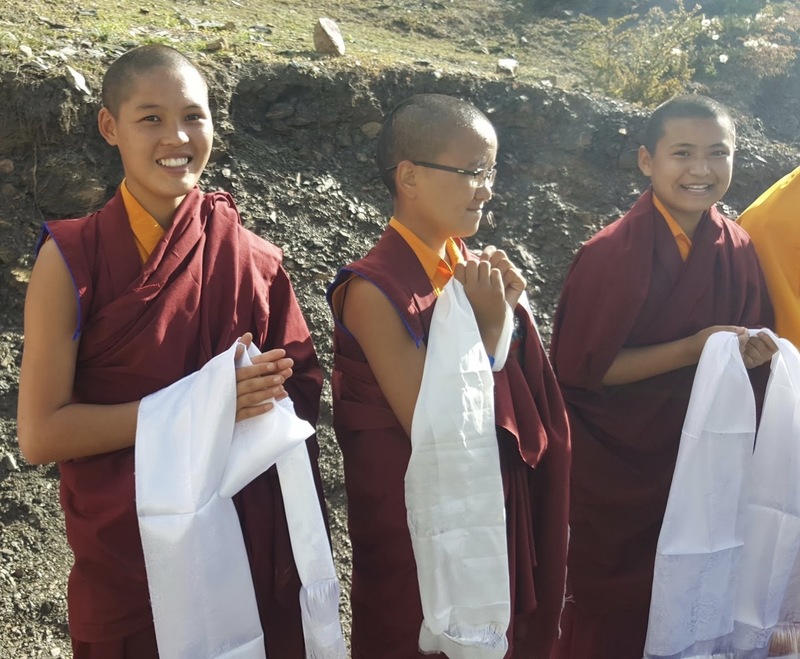 Another twenty to thirty nuns perform pujas, prayer requests and assist with teaching in the Primary School and Shedra. 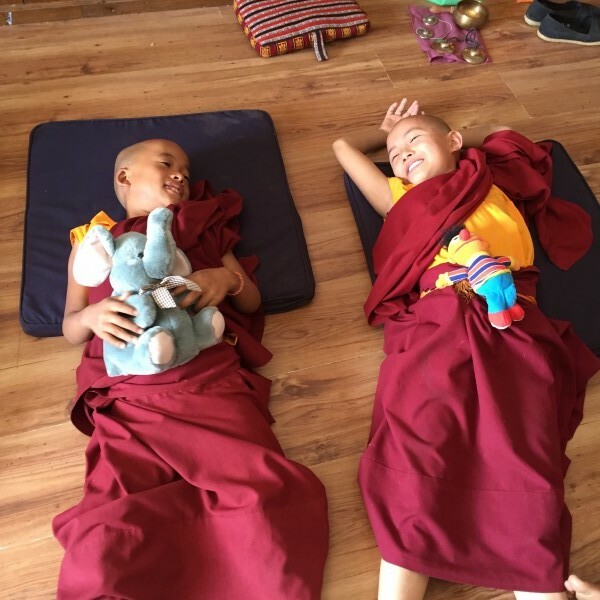 This past Fall, long time student of Tsoknyi Rinpoche, Rikke Braren Lauritzen presented a Mindfulness in School Project at Tsoknyi Gechak School for the young nuns and teachers. 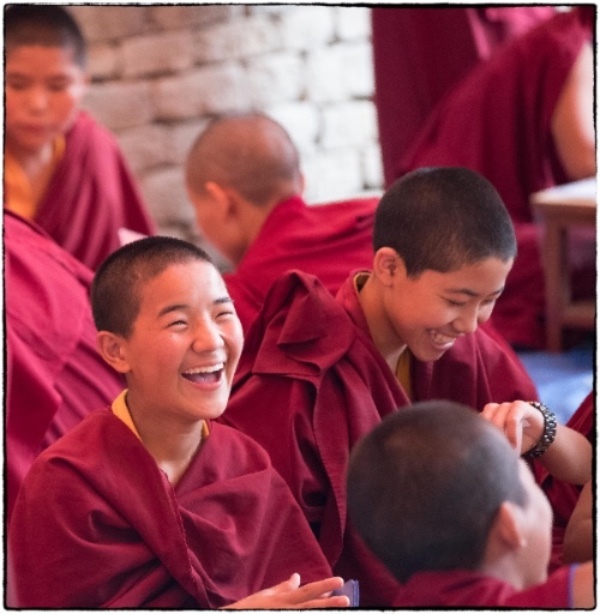 Because of your generosity, the Nuns are able to receive this intensive training and practice. 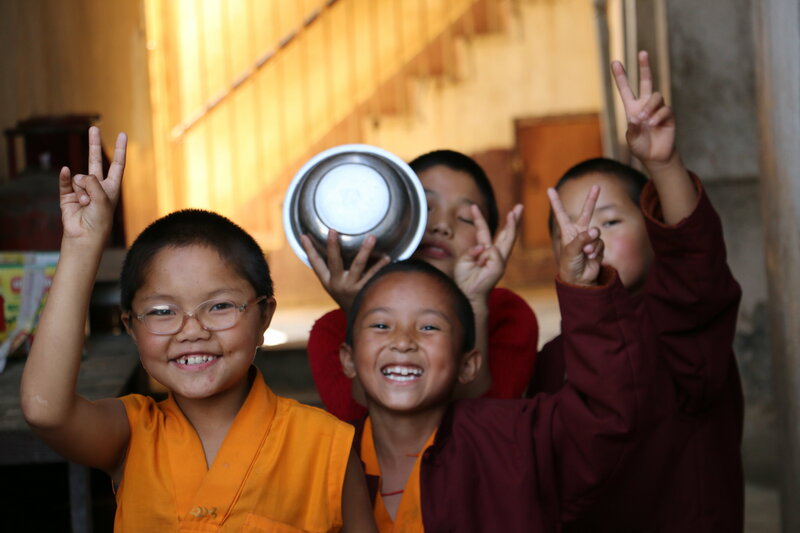 We are supporting them on their path to Enlightenment which in turn is a benefit for all sentient beings. 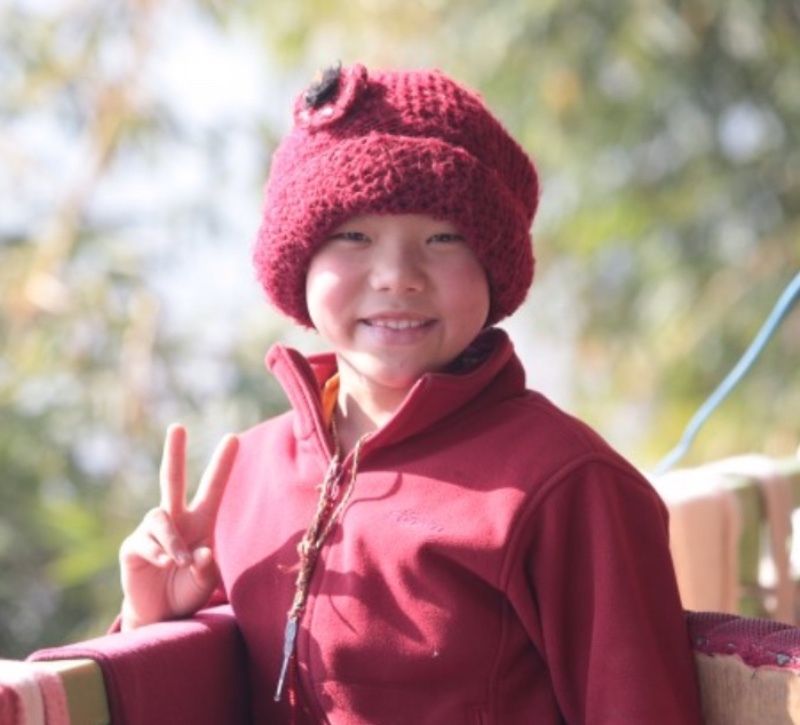 Thank you for your support of Tsoknyi Rinpoche's vision to educate girls and female monastics. fearless and free your actions will be"
The year of the Fire Bird highlights loyalty, commitment, and integrity. The Fire Bird is associated with dawn and awakening, so it is said that the Year of the Fire Bird values discipline and hard work: never giving up and seeking each day as a fresh start.There can sometimes be a tendency for impulsiveness in the quick flames of the Fire Bird Year, but generosity, courage and strong principles calm the impetuous nature of this time. The Firebird is social and reminds us that the power of community provides the support and encouragement that we can offer others. Copyright © 2017 Tsoknyi Lineage Nuns, All rights reserved.